So lately I've been trying to eat more protein - and in an effort to do so, I bought protein powder. I've never bought protein powder because I've never found one I could actually eat with all of my allergies, however, I finally found one that I could have with no gluten, artificial anythings, stevia, etc etc. Alllll of the reviews raved about how brilliant it was and how smooth it was and how much better it was than regular protein powders and I was pretty confident it'd be a-okay. And it felt like I'd just liked a chalk bucket. Obviously I didn't eat it straight out of the container - because then it'd have a reason to taste like chalk. I tried it mixed in smoothies, in oatmeal, in yogurt, in protein ice cream - and all I managed to do was ruin some of my favourite foods! I seriously don't know how people eat protein powder, however, I have a better alternative. 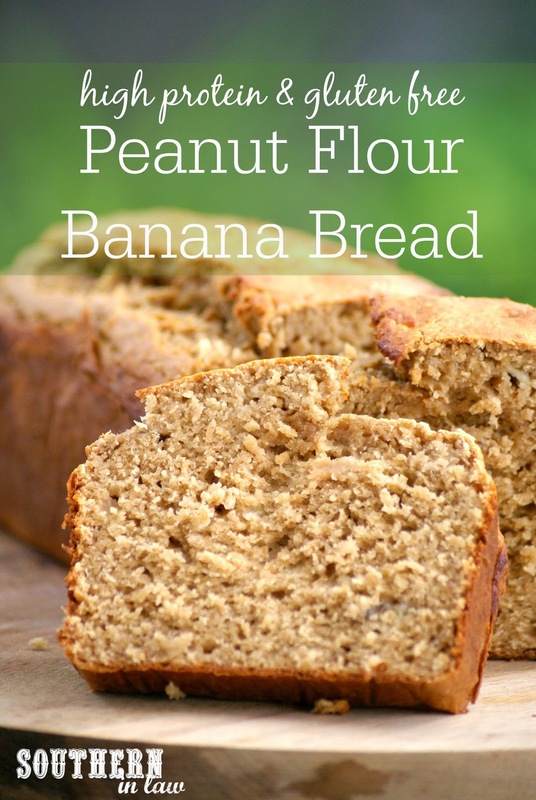 I think it's safe to say I have a peanut flour addiction that's never going to end - but when you can make banana bread with 14 grams of protein a slice, why wouldn't you be addicted? Especially when said banana bread is full of peanut butter flavour. 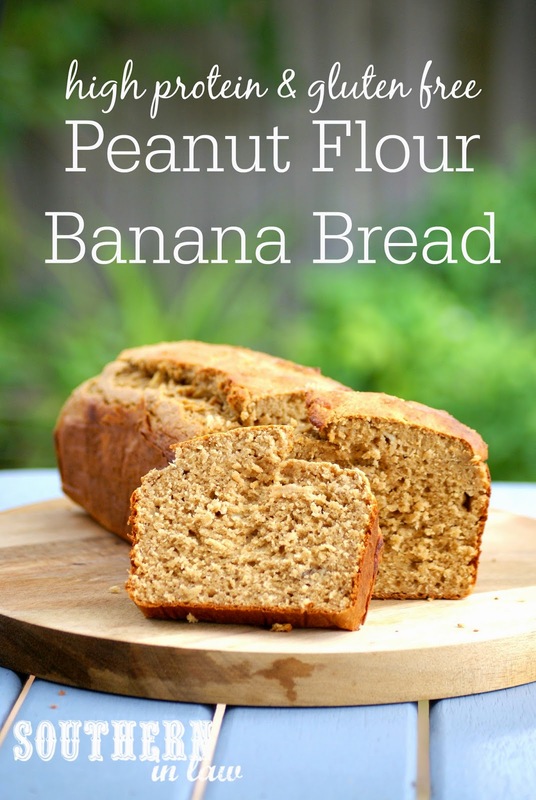 This Peanut Flour Banana Bread is seriously ridiculously good and so simple to make - and ten thousand and sixty four million and three times more delicious than protein powder, so that's what we're sticking too. Eat it as is, top it with peanut flour or cream cheese, toast it, freeze it for a quick breakfast option when you're in a rush, make it into muffins - the possibilities are endless! Grease and/or line a small loaf tin and set aside. In a bowl, mash your bananas and mix in your egg, vanilla, melted butter and honey (or other sweetener) until combined. Add in all of your flours and raising agents, mixing until just combined. Pour your banana bread batter into your prepared tin. Bake for 50-60 minutes or until cooked through and a skewer inserted into the middle removes clean. Cooking time will vary based on the size and thickness of your loaf, so keep an eye on it and cover it with foil if it seems to be browning too much on the top whilst not cooking through in the middle. 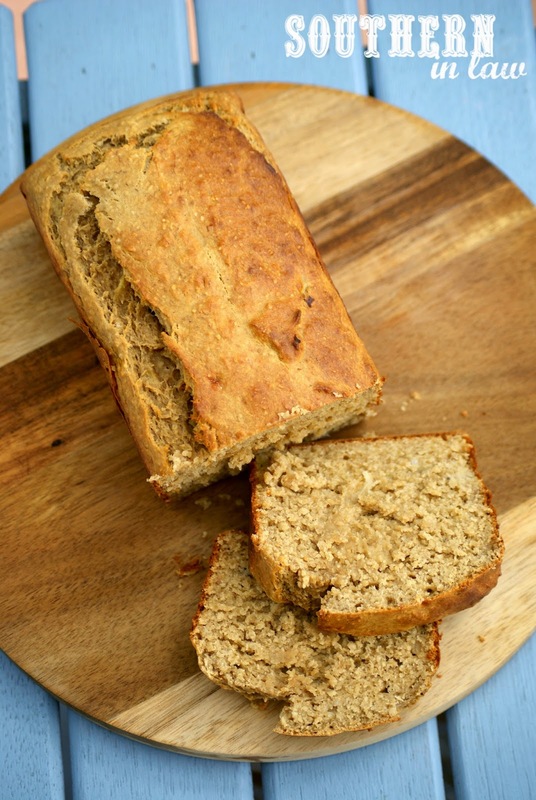 Allow your banana bread to cool before slicing. Serve however you fancy or freeze cut slices in a ziplock bag to defrost as needed. This Banana Bread will keep up to a week stored in an airtight container in the fridge (or around 3 days at room temp) or for months in the freezer! *If you don't need this to be gluten free, just use regular flour and oats! **Find out more about oats on a gluten free diet. If you can't tolerate oats, feel free to replace this with 1 cup gluten free plain flour or gluten free quinoa flour. But tell me, are you a protein powder fan? What are your favourite ways to get more protein in your diet? And what's your current favourite breakfast? I hear ya, I have a hard time finding protein powders or protein bars that don't taste like chalk! But the one protein powder I would recommend (not sure if they ship to Australia...) is Skoop. It's AMAZING. Not only for the nutrients it provides and the ingredients but also because it actually does not taste like chalk. I enjoy eating it or drinking it in many foods! I'm not even an ambassador for them or getting paid to say it, I've just had great relations with the company in the past and they have excellent customer service. It is the best! The only thing with PlantFusion is that it has stevia - but otherwise it sounds awesome! Haha I'm glad I'm not the only one! I just googled "Skoop" and it first came up with coconut icecream and I thought "Now THAT is my kind of deliciousness!" :P But then I found the actual website so now I'm off to look at it! Thanks for the great recipe! I'm not a fan of protein powder either, and am always trying to find a more natural product with fewer ingredients. This looks awesome! Love the idea for this cake, I bet it tastes like a peanut butter sandwich with banana slices. 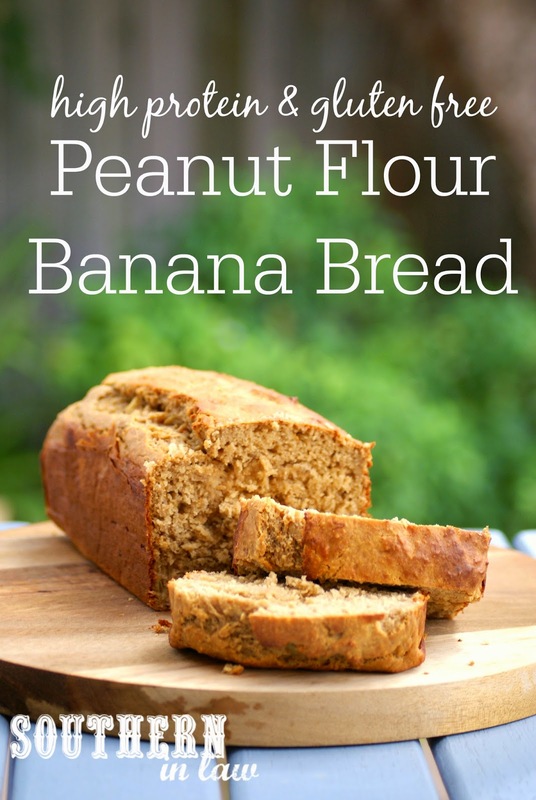 I would make my own peanut butter flour, pinned! It's delicious - and definitely the perfect all natural high protein recipe! Hi Azu, it's actually not peanut butter flour - but peanut flour. Unfortunately you can't make it yourself as it's actually made through a de-fatting process, rather than simply process peanuts into flour like you do with almonds to make almond meal. What's wrong with natural stevia? I react really badly to stevia! Hahaha writing error, I wasn't thinking about making peanut butter flour. Good information!